The cryptocurrency markets move quickly and operate around the clock. With this amount of velocity, some beginner traders and cryptocurrency investors could be scared away. Experienced traders know that this volatility is exactly what they need to generate high returns; they are able to identify opportunities before they move and take advantage of the market’s natural swings. WolfpackBOT empowers both beginners and advanced users to execute accurate trading algorithms, turning volatility into opportunity with compounding gains. Alongside the WolfpackBOT trading software, Wolfcoin “(WOLF)” is offered to users as a utility coin redeemable as the exclusive payment method for WolfpackBOT trading software subscriptions, WolfBOX hardware consoles and merchandise and apparel. Wolfcoin leverages a decentralized single-tier Masternode network, as well as a Proof of Work Blockchain. These combine with the bot to provide users with increased transaction anonymity and near-instant transactions. The WolfpackBOT ecosystem combines two favorites among cryptocurrency enthusiasts, mining and trading. The goal of their project is to enable all users, no matter their level of experience, to mine and trade like the pros; maximizing their potential gains through the use of their crypto trading bot as well as the Wolfcoin Masternode and X11 Mining network. The WolfpackBOT team includes several experienced traders who were all motivated by the inferiority of existing trading bots. This propelled them to create their own in order to overcome some of the limitations of existing cryptocurrency trading bots on the market. Some of WolfpackBOT’s exclusive features include: “Live Candle Scanning, Simultaneous Trading on Multiple Candle Sizes and All Trading Pairs, Trading Speed of <1 ms, Customizable TA Scanning Speed, Free Pre-Configured Strategies and much more”. The WolfpackBOT trading software is fueled by the Wolfcoin ecosystem with Masternodes and X11 Mining, allowing users the option to alleviate future subscription costs by gaining Wolfcoin rewards. Crash Protection, one of WolfpackBOT’s most advanced features, enables users the option to automatically scan and convert all positions to a “stable coin” at the sign of their proprietary “Hidden Bear Divergence” indicator, and subsequently buy back into a base cryptocurrency in order to resume trading at the sign of their proprietary “Hidden Bull Divergence” indicator. Beginner traders often have a hard time getting started due to the fact that the markets move 24/7, not allowing for any time to make incorrect judgments. The information available online can be misleading or misused, because every trader uses a different set of guidelines for themselves. WolfpackBOT aims to alleviate much of this stress, by coming installed with pre-configured trading strategies. This allows the trader to test out strategies for themselves and only risk funds when they are ready. Some of these pre-configured strategies include “Werewolf Bull Market”, “Werewolf Bear Market”, and “Werewolf Sideways Market” to allow users to select presets which match the current state of the markets. 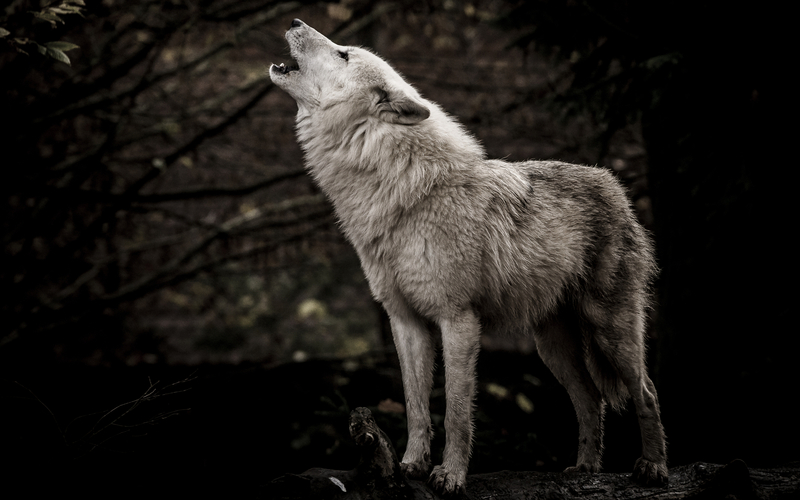 Whether the market is currently experiencing bearish or bullish sentiment, every day is a WOLF market! WolfpackBOT trades at lightning speeds utilizing proprietary trading algorithms, trading analysis configurations, or use-customized settings based on personal trading style. WolfpackBOT also allows for simultaneous trading access to all compatible cryptocurrency exchanges as well as all available trading pairs. WolfpackBOT is incredibly fast and can fulfill up to 10,000 traders per day depending on market conditions and subscription packages. Other trading bots available on the market store your API keys remotely on servers which are potentially susceptible to hacks and pump/dump attacks. User security and API key protection is held at high priority within the WolfpackBOT framework, which is why it is the only trading bot that gives users full control with local management of their own API keys! For those interested in learning more about WolfpackBOT, their paper bot can now be downloaded by logging into the Members Area of their website. This free version of their trading bot enables users to test strategies by trading live on exchanges without risking actual funds; an ideal solution for those interested in testing out WolfpackBOT or for beginner traders who are not quite ready to trade using their real funds.